Data thieves are always lurking and one of the best ways to get their victims is by spreading a message that looks appealing and profitable. However, such campaigns in most cases, are one of the many ways to get your profile data and share their useless campaign message to all your friends in the hope of getting what's 'offered' in return. 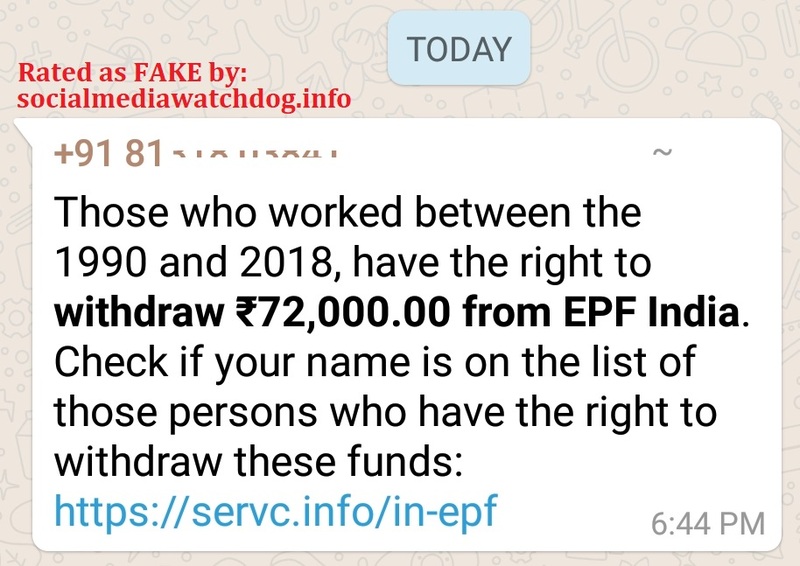 For example, a fake message on how to Get EPF Balance of Rs 72,000 is being spread on social media sites and platforms. This message is mainly targetted at WhatsApp users. Screenshot of the Fake EPF website. This is a Fake EPF website and their main target is to let you share the fake message over and over to all your contacts until a final goal of getting your EPF balance. 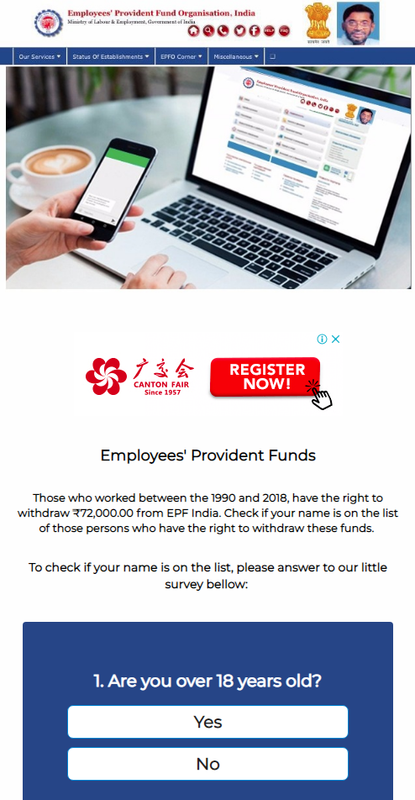 You will never get EPF fund from this website. Beware. Never fall for such scam! Please pass this useful information about Fake EPF India Balance Website to your friends by sharing this website link to all your friends. You can help them from fakes and cheaters. If you find fake offers and claims, do notify us in the comment box below. The fake site is very similar to the real website. Thank your for this update.